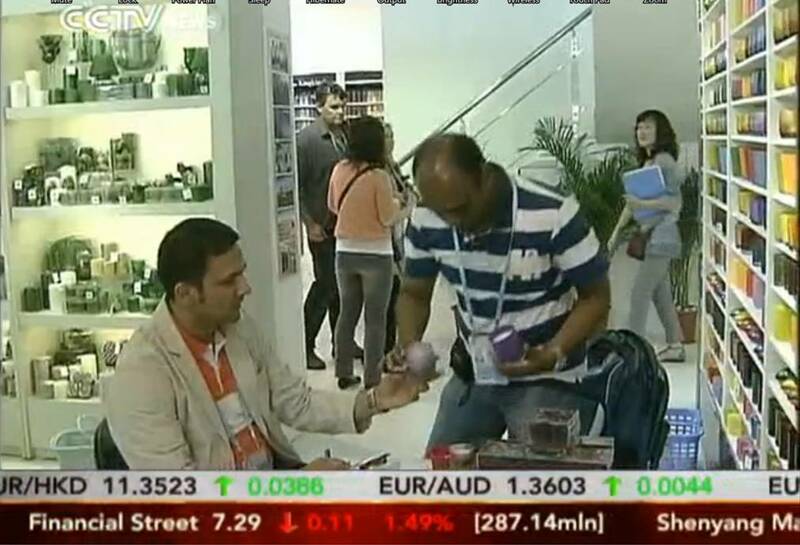 China Import and Export Fair is also renowned as the Canton Fair. It is held biannually in Guangzhou every spring and autumn, with a history of 53 years since 1957. The Fair is a comprehensive one with the longest history, the highest level, the largest scale, the most complete in exhibit variety, the broadest distribution of overseas buyers and the greatest business turnover in China. 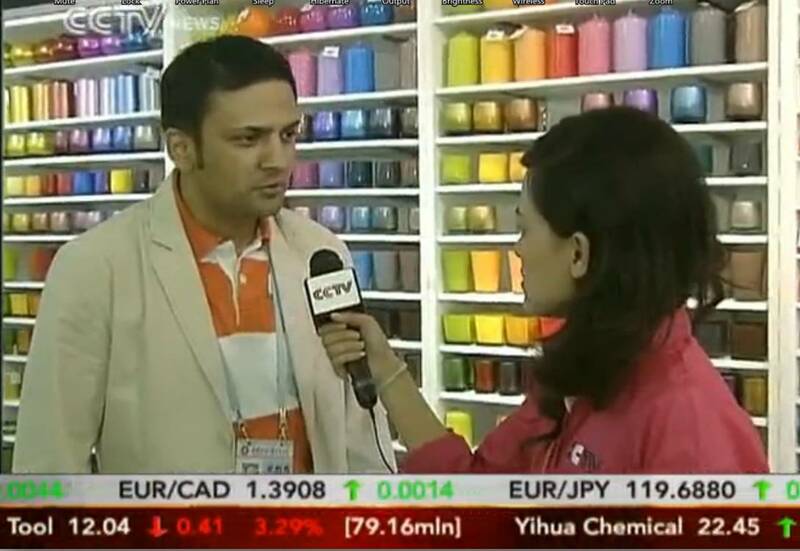 CCTV China Interviewed me during the recent edition of Canton Fair @ Guangzhou. 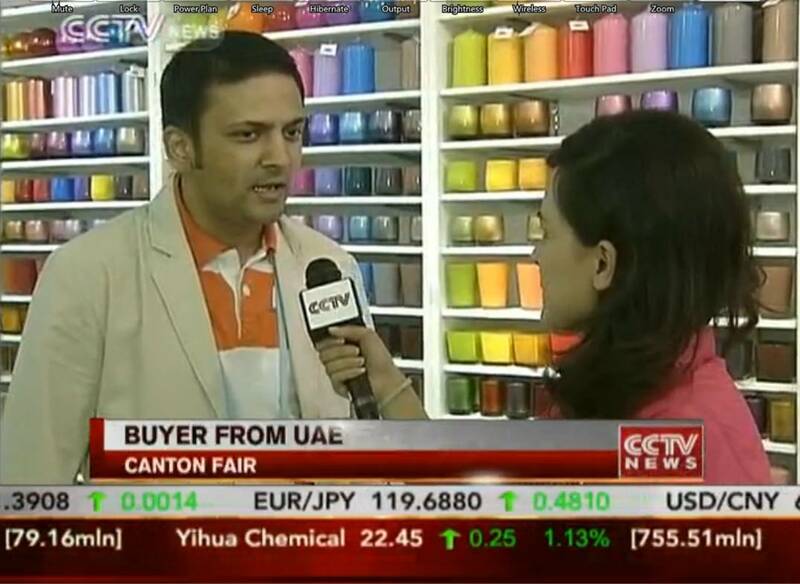 Interview Link – Video: EMERGING MARKETS BUY MORE FROM CANTON FAIR CCTV News – CNTV English. In Screw It : Lets Dot It, Richard Branson talks about Green initiatives and harnessing Renewable Sources for energy wherever possible. Renewable energy especially Solar & Wind is being used across a wide range of spectrum. I think the day is not far when we start having our own small portable solar stations which can power our laptops, i-pods, mobile phones and accessories. As soon as we get these gadgets commercially available, we can think of a revolution where not only the senior generation but even the younger generation will start understanding the benefits of renewable sources of energy and will make a gradual shift in their thinking. In future we will need not only these gadgets but more Inventions and Thoughts which can keep this revolution going forward. Just imagine Barren Desserts, will become power houses for the world where you can generate abundance energy. Putting Wind turbines in areas where we get high winds and turbulence, can again work for our benefit, infact for the benefit of the entire humanity on this earth. Another challenge manufacturers face is that of managing price across a brand/pack portfolio. An anonymized analysis from a soft drinks study illustrates the example of a portfolio comprising a variety of brands and packs. In this example, the manufacturer has a portfolio of three brands. Brand A is sold in plastic, glass and can packaging. The plastic variant is also available in two options – as single and multiple packs. – Consumer pressure in terms of demand for VFM (Value For Money). – When sales change significantly as Brand A (single/multi-pack, plastic format) promotes, and change minimally when the pack changes regular price, a strategy of high price and frequent promotions (“Hi – Lo”) is recommended. – When sales change significantly as Brand A (multi-pack, can format) promotes and when the pack changes regular price, then one should review brand and promotion cost structure and harvest price for profit. – When sales of Brand A (single pack, glass format) hardly change when the pack promotes and changes regular price, a strategy of high price and low, or no promotions (“Hi-No”), will suit the brand. – When sales of Brand A (single pack, can format) hardly change when pack promotes, but change significantly with change of regular price, then a marketing strategy of EDLP should be adopted. – Brand A plastic form, multi-packshould use price promotions and singles should apply multi-buys (e.g. where you buy one and get the other at half price). – Brand A cans, multi-packs should price promote or offer free volume (e.g. where two cans are included for free), but should not use multi-buy. Using price modelling to uncover strategic insights requires caution, however, and it is important to have a clear understanding of which questions can be addressed with a pricing model. ACNielsen’s pricing studies are based on regression modelling of weekly store level data – this allows the matching of brand volume changes to known price changes in-store. In the first stage, an assessment of price sensitivities, thresholds and relationships is undertaken. The next stage involves providing recommendations for future price and promotional strategies and, finally, the new regular and promotional pricing scenarios are tested. How sensitive is my brand to promotional price and changes in regular price? Who are my brand’s key price competitors? Are there any critical price thresholds? What is the impact of changing the price gap to sister and/or competitor brands? Which pricing strategy should I apply to the different packs in my portfolio? What is the volume, value and profit impact of new price scenarios? At which price level should I launch my new brand? How will dramatic market changes (ie recession, political conflict) affect my brand’s price sensitivity and sales? How will significant changes in my brand’s benefits (ie quality, format) affect my brand’s price sensitivity and sales? In the event that historical data observations are insufficient to draw reasonably robust conclusions, ACNielsen uses other analytical approaches to align price and profitability for better brand performance. Most brand owners are increasingly confronted with competition from new low price competitors (eg Private Label) that tends to require a change in their brand’s pricing strategy. How they should tackle these situations depends heavily on how price sensitive they are Recognising which class of brands they fall into is the key to devising a competitively sound strategy. Pricing studies across major FMCG categories, such as soft drinks, coffee, tea, detergents, dairy, confectionery, liquor, body care, etc have enabled ACNielsen to develop a relevant segmentation of the market to represent the different classes of brands that typically exist. Price Takers These brands typically have a low market share and a high price sensitivity. These tend to be low equity brands, not well differentiated from competition, and can include the more recent phenomenon of lowest price Private Label. Price Fighters High volume brands which exhibit a high price sensitivity and tend to be price focused. Traditional Private Labels would frequently fall into this segment. Mainstream Brands Average volume and average price sensitivity brands, eg the second or third brands in a market. Market Leaders Brands with a high volume share but low price sensitivity, typically number one in its market. Niche Brands Brands with a low volume share and low price sensitivity. As examples, organic, bio, and super premium brands would frequently be in this segment. We observe that when a low price competitor, such as lowest price Private Label, enters a market, Price Takers and Price Fighters are likely to suffer the highest volume losses. Price sensitivity tends to remain high and may even increase. Therefore Price Takers and Price Fighters will need to respond rapidly to minimise sales losses. For Price Takers, low volume share and high price sensitivity indicate low brand equity and weak differentiation from the competition. There are only two sustainable strategies: be a low-cost producer, and compete as lowest price on-shelf, or; invest in marketing to grow volume share and build brand equity longer term – in other words try to re-position as a Price Fighter. For Price Fighters, volume share is high, as is price sensitivity. The brand will need to follow price decreases in the market to remain price competitive, and high volumes give the brand capacity to compete. Again, investment in marketing can build brand equity and reduce price sensitivity, and could move the brand towards the Mainstream segment. Whether a Price Taker or a Price Fighter, the investment required to re-position a brand is very significant, and there is no guarantee of success. identifying key price competitors and responding to their price moves appropriately in order to optimise their price positioning. Market Leaders with high volume share and low price sensitivity will generally be unaffected, or at worst, lose a very small amount of volume. Price sensitivity will most likely be unchanged after the arrival of the new competitor, or could decrease slightly if the most price sensitive, disloyal consumers leave the brand. Market Leaders generally don’t need to respond to pricing of value brands. They need to continue with their marketing investment to maintain brand equity. Niche Segments are very unlikely to be affected, unless the new brand is also a niche brand. Niche segments tend to be too small to be attractive to low price competitors, who require high volumes to drive profits from low prices. Where low price competitors do enter the niche segment for the first time, existing niche brands need to conduct research to understand the potential threat of consumer defection, before defining their response. Otherwise they should continue to market the niche benefit and remain relevant to their target audience. Applying this scheme for pricing strategy adds better visibility to a brand’s future and can help skilfully negotiate a market terrain riddled with low price competitors and an ever-increasing flock of Private Label challengers. Do price elasticities vary by market channel? This question can be answered by an analysis of data across different market channels for products of various categories. The analysed channels included: Hypermarkets (>2500m2), Supermarkets (2500>=400m2), Convenience (<400m2), Petrol Stations, and major categories such as instant soups, detergents, auto dish wash, air care, confectionery, carbs, snacks, laundry detergents, dairy, shampoo, tobacco and water. The measured elasticities confirmed that consumers are less price sensitive when their purchase is impulsive/need driven. Very similar trends were also observed for promotional price elasticities. Overall, the analyses indicated that a brand’s price elasticity was found to be lower in Impulse than in Planned Purchase channels and elasticities tend to be similar in Hyper- and Supermarkets. In comparison to Hypermarkets/ Supermarkets, a brand’s elasticity is often significantly lower in Impulse Purchase channels. This lowering of price sensitivity was even more pronounced in Impulse Channels, where purchases are likely to be more need-driven (ie in Petrol Stations). This helps define the broad guidelines for regular price and promotional price strategies across channels. Hypermarkets & Supermarkets Shelf price position is critical. The available time and a wide product range increase consumers’ price sensitivity. Shoppers’ promotional responsiveness is higher than in other channels due to the longer length of time spent in the store. They are more likely to look for price deals and private transport will facilitate bulk purchases. Convenience Stores Consumers are less price-focused and purchases are need-driven (for instance, a top-up purchase of necessities). A competitive regular price strategy within the available range is still relevant. Promotions are generally less efficient and therefore need to be well-presented and attractive. Large volume offers will be less suited to the Convenience shopper. Petrol Stations Product availability is more important than price point as consumers’ purchase is impulse- driven. A lack of range will also reduce price-consciousness. Promotions would only work on pure impulse purchase categories, ie soft drinks and confectionery, and need to be very attractive and well located. For most multinational companies, managing price in different geographies can be a sizeable and complex challenge. ACNielsen Analytic Consulting’s Global Normative Database, piloted in 2005 [covering 10 countries, three categories and a selection of brands and packs] offers a consistent assessment of a brand’s pricing sensitivity, and provides global brand owners with benchmarks across different geographies and categories. In 2006, ACNielsen Analytic Consulting has been building on this Normative Database, adding countries, categories and brands. medium to high. In today’s global economy, local price strategies cannot be managed independently. Globalisation of retailers means that most brand owners operate trade price corridors, to minimise the risk of arbitrage. This sets a ‘floor’ for the consumer pricing strategy: brand owners need to use their understanding of consumer price sensitivities to set a global retail price corridor within which local price strategies should operate. When creating a global pricing strategy, brand owners need to consider the following factors, that vary in their degree of importance. Local consumers’ ability and willingness to pay a specific price in a specific geography. Considerations: disposable income; price sensitivity; level and type of competition. Maturing CPG industry leading to aggressive pricing strategies by many retailers. Considerations: private label; hard discounter threat; range. ternational retailers buying at the most favourable trade price, selling at the local retail price. Considerations: buying power; import tariffs; logistic expense. Consumers’ ability and willingness to travel for a better deal. 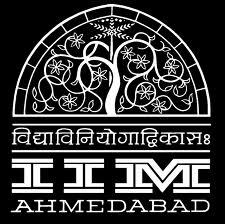 The Chartered Institute of Marketing (UK) defines marketing as “the management process responsible for identifying, anticipating and satisfying customer requirements profitably” Combined with the theory that [profit = volume x (price – cost)] and that Perceived Value = Benefits (both emotional and functional) / Price, this helps us arrive at three major postulates of the pricing game. • Pricing is central to profitable brand management. • The greater the benefits perceived by the consumer, the greater the price a brand can sustain. • Reducing investment in perceived benefits reduces value. 1. High price and frequent promotions (Hi-Lo) – when the sales change significantly as the brand promotes and hardly change when the brand changes price. 2. High price and low or no promotions (Hi-No) – when the sales hardly change as the brand undertakes promotions and even when it changes price. 3. Harvest price for profit – when sales change significantly as the brand changes price and promotes, the strategy will depend on the cost structure of both the brand and the promotion. 4. EDLP – when sales change significantly as the brand changes price, but are relatively insignificant when it promotes. A brief understanding of economic theory helps us better understand the impact of price on volume. Equilibrium between supply and demand defines a product’s natural price; when supply is greater than demand, prices fall and when demand is greater than supply, prices increase to maintain equilibrium. Econometric modelling applies this theory to brand pricing and by removing the effects of promotions, media and seasonality, measures the relationship between historical changes in price andchanges in underlying volume. This is commonly referred to as the brand’s price elasticity. The elasticity will be negative i.e. as price increases demand will decrease, and it is also seen that this relationship is not linear but depends on the percentage (%) change. This implies that to understand the impact of price on profit one needs to know the impact on profit per unit and on volume sales. A price increase has traditionally been the best alternative for increasing profitability. The impact of this on profit is especially magnified if a brand’s current margin is low. However, price increases are more visible to consumers than cost reductions and the reaction of consumers to price increases are the ultimate determinant of its impact on profit margins and profitability. A clear understanding of consumer sensitivity to a brand’s price and its profit margin helps assess whether price increases will generally be profitable or unprofitable. For instance, for a brand with a 20% profit margin, a 1% price increase will increase profit per unit to almost 21% – equivalent to a 5% margin improvement per unit. In such a scenario, volume sales would need to decline by more than 5% for total profits (profit per unit x # of units) to decline. Therefore, any volume decline less than 5% will mean that the price increase will translate to a total profit increase. In other words, break-even would be achieved with a price elasticity of -5 (a 5% volume change for a 1% price change). Performing this same calculation for a range of profit margins allows us to plot the break-even point where for any given margin, if the brand’s price elasticity is higher, then a price increase will reduce profit, and if the brand’s elasticity is lower, then a price increase will increase profit. A majority of brands have a price elasticity of less than three, so in most cases it is a profitable decision to increase price – the brand has to already command a very high margin for it to be unprofitable. It follows therefore that price increases within reason increase profit as well. This caveat of increasing prices within reason also reinforces the importance of the current profit margin. Price increases do, however, also decrease volume depending on the brand’s price elasticity. Therefore total profit will ultimately depend on a combination of a brand’s profit margin and its price elasticity. Conversely, price decreases within reason generally drive a decline in profitability. 1. When the brand profit margin is low and the brand is not sensitive to changes in price,consider a price increase to drive profit as price reductions will reduce profit. 2. When the brand profit margin is low and it is very sensitive to changes in price, review price increase or decrease for profit growth. 3. When the brand profit margins are high and the brand is not sensitive to price changes, review price increase or decrease for profit growth. 4. When the brand is very sensitive to price changes and has a high brand profit margin, consider a decrease in price to drive profit since a price increase will reduce profit. Cost-Plus for products with a relevant percentage of direct costs on total costs. Break-Even Analysis: Price = variable costs + fixed costs/quantity. This formula does not depend on any cost controlling technique (Full Cost or Direct Cost); it provides a useful decisional support for different marketing strategies, taking into account return on investments. organizations; characterised by an “against-someone” positioning. a strategy for specific channels, e.g. : vending impulse. Dynamic Parity: Given a chosen competitor, the gap with its price is kept constant in time, in order not to change competitive positioning in the consumer perception. This is most common amongst category leaders and the #2 brand, and is usually expressed as an index, i.e. : #2 brand will aim for 90% of the category leader’s price. Discount Pricing: Price is always below the average of competitors, allowing a precise positioning of low perceived price and low perceived benefits. Premium Pricing: Price is always above the average of competitors, allowing a precise positioning of high perceived price and high perceived benefits. Elasticity Analysis: The price decision results from the calculation of the sensitivity of volumes to price changes. By simulating different price scenarios it is possible to set the optimal price to the one maximizing expected revenues and profits. consumer’s intention to buy at different price levels. The outcome is a quantification of perceived value. Conjoint Analysis: The consumer quantifies the economic value of the perceived utility for each product attribute, making it possible to determine the ideal pricing of each product configuration. This toolkit of price tactics is the marketers’ / retailers’ arsenal for strategizing in the pricing game. Managing price strategy consists of viewing pricing through a variety of perspectives. Fundamentally, a brand’s continuity depends on its ability to sustain itself over the longer term. This means that the profit it attracts by virtue of building its equity must be utilized in ensuring its sustenance. Therefore, almost all marketing activity centered around the four Ps of marketing (Price, Place, Promotion, Packaging) carefully balances the resultant outcome on the fifth P – Profitability. A brand’s profitability can be influenced by a variety of internal and extraneous factors but it is invariably linked to its pricing. Pricing is central to a brand’s marketing strategy: it cannot operate in isolation of other marketing activities and it is a primary driver of brand profit. It is critical to understand how the ultimate arbiters of brand / marketing success, namely consumers and shoppers, view themselves. ACNielsen ShopperTrends, a study conducted across 50 countries, identifies what shoppers seek from retailers and understands their shopping behaviour in conjunction with retailer brand equity. By intersecting what consumers claim they want from retailers, with what actually influences their shopping behaviour, it is easier to pinpoint consumers’ propensity towards spiralling prices in the midst of an increasingly aggressive and price-focused trade environment. Surprisingly, the difference between the factors that shoppers state are important versus what ShopperTrends has found to be important indicates that ‘low prices’, though claimed by shoppers to be a key determinant in driving choice, is relatively less so. Factors such as ‘Easy to find’, ‘Well stocked’, ‘Wide range and variety’ and ‘Selection of quality brands and products’ are just as likely to be true drivers of shopper choice. ‘Low prices’, on the other hand, is seen to be a statement that is ‘said, but not meant’. This conclusively proves that shoppers see competitive prices as a necessary or ‘hygiene’ condition amongst retailers and that ‘better prices’ per se is not necessarily a strong differentiator. This is because other retail characteristics are also important, and can help a retailer support a price premium versus the hard discounter. Factors such as range, availability, convenience, and quality, too, can have a bearing on a shopper’s ‘exercised’ choice. Additionally, brand owners can use their brands and their marketing investments to help retailers achieve differentiation in these areas. implies that pricing is central to profitable brand marketing!